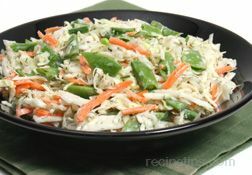 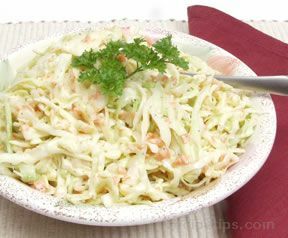 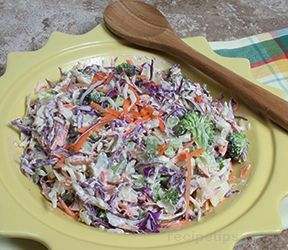 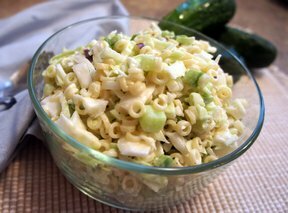 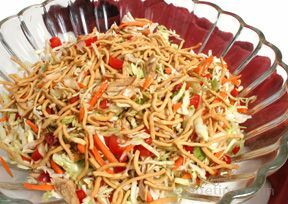 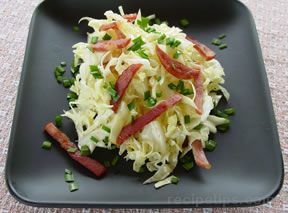 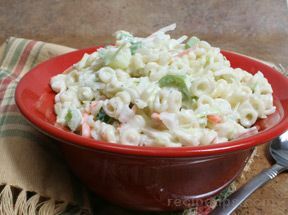 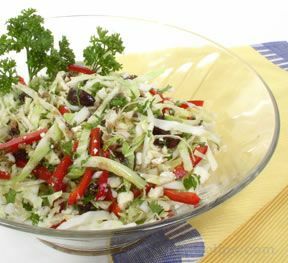 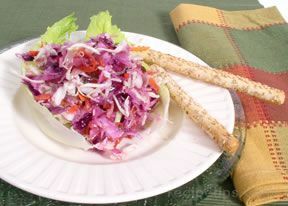 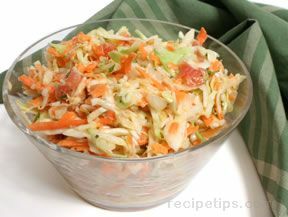 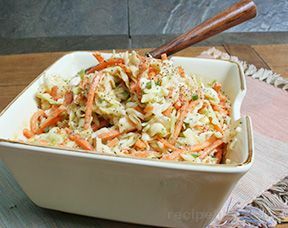 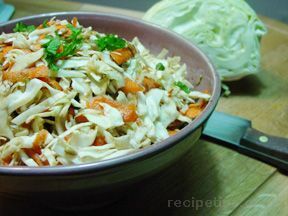 A nice change from ordinary cabbage salad, this has lots of flavor and color. 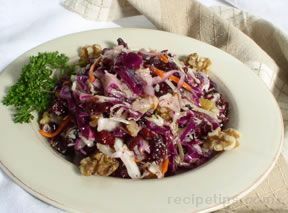 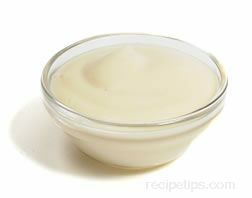 It's a good idea to make the dressing ahead of time to help blend and enhance the flavors. 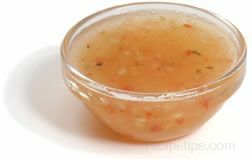 In a bowl, add the minced garlic, salt, pepper, vinegar, oils, and oregano; whisk until blended. 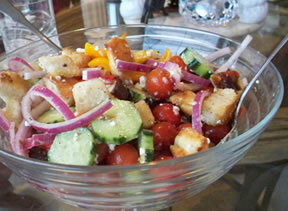 Cut the sweet red pepper into julienne strips, quarter the olives, chop parsley and crumble feta cheese. 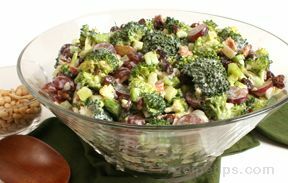 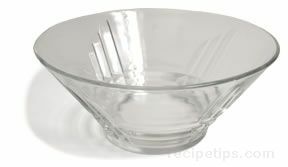 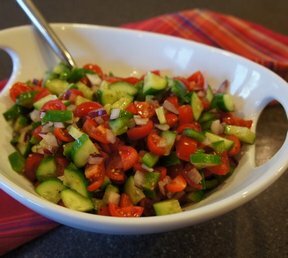 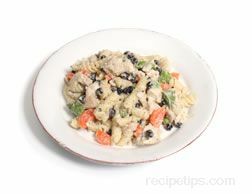 Combine all the ingredients in a large salad bowl and toss gently right before serving. 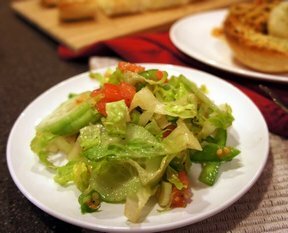 Pour dressing over all the salad ingredients right before serving.